Things aren’t going that well for folks over at Samsung it seems. Recently, the company reported its first year-over-year drop in net profits, with its net profit falling a staggering 19.6 %. All of this let to investor confidence falling with $ 7.5 billion being lost through sale of Samsung stock this Thursday. To regain this confidence back, Samsung’s Senior VP Kim Hyun-Joon promised two new high end smartphones within the next six months, the wall street journal reports. One of these models will be a large screen phone while the other will be made of ‘new materials’. The large screen device will most probably be the latest offering in the company’s Galaxy Note line. The second device remains a mystery as of yet. 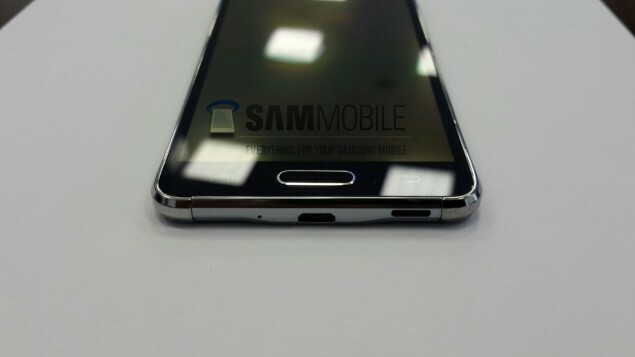 Could it possibly be the Samsung Galaxy Alpha? The Galaxy Alpha is rumored to be the company’s next offering made of metal which will compete against Apple’s upcoming iPhone 6. Apart from these, Mr. Kim also added that it will introduce new models for the low to mid end of the market. The reason behind the company’s poor performance this time was an overestimation of demand which led to a high amount of inventories being held. In addition, currency spike and stiff overseas competition led towards a further decrease in overall earnings. Total operating profit decreased by a whooping 24.6% for the company. Operating profit for the mobile division of the company fell by 30%. Seems like Samsung is in troubled waters. And with Apple’s upcoming iPhone 6 launch, the company sure needs to do something if it intends to turn things around. Perhaps a metal phone will do the trick.